1972-1974 Research Fellow in Applied Mathematics, University of East Anglia. 1974-1982 Lecturer in Offshore Engineering, Heriot-Watt University. 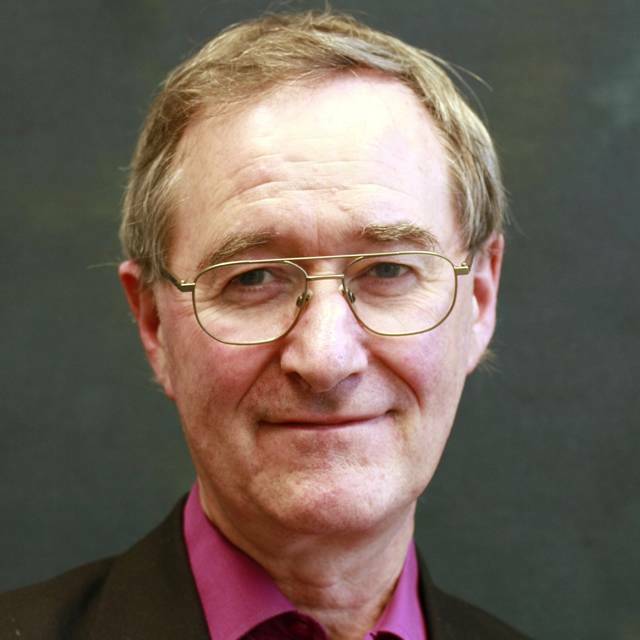 1982-1984 Principal Lecturer in Applied Mathematics, Sunderland Polytechnic. 1993- Appointed Professor of Applied Mathematics. History of Mathematics including applied mathematics, physics and applied physical sciences; multiple integrals, Fourier series and Laplace transforms; Modelling Marine Processes. Mathematical models in geophysical fluid dynamics using exact solutions to differential equations. Natural ventilation problems using classical fluid mechanics. P P G DYKE (2005) Wave trapping and flow around an irregular near circular island in a stratified sea. Ocean Dynamics 55 pp 238 - 247. N Jamal, J I Allen, M N Moore, P P G Dyke and S Davies (2005) Role of Autophagy and Programmed Cell Death (PCD) in Maintenance of Fish Liver Function During Stress, (submitted to Marine Environmental Research and presented at PRIMO 13, Alessandria, Italy 19th - 22nd June 2005). A McVeigh, M N Moore, J I Allen and P P G Dyke (2006) Lysosomal responses to Nutritional and Contaminant Stress in Mussel Hepatopancreatic Digestive Cells: A Modelling Study Marine Environmental Research 62 (Supplement) S433 - S438. Presented at PRIMO 13, Alessandria, Italy 19th - 22nd June 2005. P P G DYKE (2007) Group Projects in Mathematics. Mathematics Today, 43, pp 19 - 24. P P G DYKE (2007) A History of Jonsmod 1981 - 2006, Ocean Dynamics, 57, 239 - 244. P P G DYKE (2007) Modeling Coastal and Offshore Processes, 412pp. Imperial College Press/World Scientific Press. P P G DYKE (2007)(ed) Papers from Jonsmod 2006, Ocean Dynamics, 57, pp 237 - 499. H CHEN and P P G DYKE (2007) An Example of Non-Linear Time Series Modelling using the System Identification Method, Proceedings of the Second IMA Conference on Flood Risk, University of Plymouth, 4th -5th September 2007, pages 177 - 185. P P G DYKE & A McVEIGH (2009) A SimpleComputational Model of Digestion in the Marine Mussel Applied Mathematical Modelling 33, pp 783 - 796. P P G DYKE (2010) An Introduction to Discrete Mathematics, Chapter 6 of Modern Engineering Mathematics (4th Edition, ed: Glyn James) pp 417 - 465, Pearson UK HPE. P P G DYKE (2011) Functions of a Complex Variable, Chapter 4 of Advanced Modern Engineering Mathematics (4th Edition, ed: Glyn James) pp 256 - 344. Pearson UK HPE. P P G DYKE & H GERRITSEN (2011)(ed) papers from JONSMOD 2010 Ocean Dynamics 61 , pp 1809 - 1994. P P G DYKE (2015) An Introduction to Discrete Mathematics, Chapter 6 of Modern Engineering Mathematics (5th Edition), ed Glyn James pp 423 - 471 Pearson UK. H CHEN and P P G DYKE (2015) Modelling and Prediction of Stock Price Dynamics using System Identification Methodology based on a Popularly Used Technique Analysis Data. In: Proceedings of SAI Intelligent Systems Conference November 10-11, 2015 London UK. 5pp. P P G DYKE (2016) Modelling Coastal and Marine Processes 614pp. Imperial College Press (A 2nd much modified edition of the 2007 publication Modeling Coastal and Offshore Processes). P P G DYKE (2018) Two and Three Dimensional Calculus 382pp. John Wiley. P P G DYKE (2018) Functions of a Complex Variable, Chapter 4 of Advanced Modern Engineering Mathematics (5th Edition, ed: Phil Dyke and Glyn James) pp 256 - 344. Pearson UK HPE. P P G DYKE and GLYN JAMES (2018) Advanced Modern Engineering Mathematics (5th Edition, editor-in-chief) pp 1068. Pearson UK HPE. From 2008 - 2018 carer for my late wife, Heather Dyke who had Behavioural Variant Frontotemporal Dementia. She died in December 2018.